Dr. Robert Schoch, who earned his Ph.D. in geology and geophysics at Yale University, has been a full-time faculty member of the College of General Studies at Boston University since 1984. He became world famous in the early 1990’s as the first mainstream geologist to support the notion that the Great Sphinx of Giza may be much older than the dynastic civilization of ancient Egypt and his evidence and arguments continue to fuel debate around this highly-charged subject. 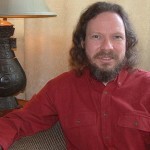 In his new book, The Parapsychology Revolution, co-authored with Logan Yonavjak, he continues his controversial trajectory in a new area of research – one of great interest to many visitors to www.grahamhancock.com. Robert will be available to join in discussion and respond to comments and queries from posters on our Author-of-the-Month Message Board throughout April 2008. Most of you reading this piece may know me from my work on the Great Sphinx, the Great Pyramid, and other ancient monuments, as discussed in various articles and my books Voices of the Rocks, Voyages of the Pyramid Builders, and Pyramid Quest (see my website, www.robertschoch.com). It was through our mutual interest in the origins of civilization that Graham Hancock and I came to know each other, and it is a pleasure to be Author of the Month on his website. I have a new book out, The Parapsychology Revolution: A Concise Anthology of Paranormal and Psychical Research (compilation and commentary by Robert M. Schoch and Logan Yonavjak; Tarcher/Penguin, 2008), and it is this subject that I will focus on in this piece and the accompanying discussion. I am commonly asked how my studies in parapsychology relate, if at all, to my studies of ancient monuments. Even though I am a geologist, and my initial concern was dating various ancient structures, I could not help but wonder why they were built, especially given the enormous efforts that must have gone into their construction. The why behind the monuments, more often than not, apparently included religious beliefs and practices, initiation rites and rituals, which in many cases seemed to have an ostensible paranormal aspect, whether it was clairvoyance, divination, or manifestations of higher levels of consciousness. The temples and tombs of ancient Egypt, Mexico, and Peru seemed to cry out "paranormal." So, was it all a mixture of ancient myth, superstition, and downright fraud on the part of many a seer, priest, and priestess, or could there be something to it? Were the ancient structures used, at least in part, to alter consciousness, and possibly enhance paranormal phenomena? In all honesty, I have always been highly skeptical of any alleged paranormal phenomena. However, my concept of skepticism is not the same as dismissal, and in my studies of ancient and traditional cultures alleged paranormal phenomena kept making an appearance. When a former Boston University student, Logan Yonavjak, encouraged me to delve deeply into the serious parapsychological literature, I found the topic both fascinating and enlightening. The immediate tangible result of our research is the volume The Parapsychology Revolution in which we include selections from fourteen seminal papers, dating from 1886 through 2007, by major figures in the field plus a hundred pages of our own commentary. For me, however, the real result of my immersion into parapsychology is a new appreciation for human potentiality and the connections we share with all of life and ultimately, perhaps, with the cosmos. But, that is perhaps the subject for future articles and books. People often ask me if I now "believe" in the paranormal. Let me just say that after looking at the hard evidence, and sifting out the fraud and bunk, I have come to conclude that there definitely is something to such phenomena as telepathy and psychokinesis. Here I should point out that in The Parapsychology Revolution we discuss paranormal and psychical phenomena in a strict sense, including the concepts of ESP (extrasensory perception: telepathy, clairvoyance, and precognition) and psychokinesis (PK, or mind over matter, both on a micro- and macro- scale). Certain topics that are sometimes included in more general definitions of the paranormal and parapsychology, such as UFOs, aliens, Big Foot, and so forth, were not our concern in this book. Likewise, our primary focus did not include evidence bearing on survival beyond the grave (though we do briefly discuss evidence for reincarnation). The survival issue is highly controversial and the evidence typically used to support life after death is subject to many interpretations. We felt it was important to first establish what is possible in terms of paranormal phenomena while people are still alive. Perhaps the survival issue will be the subject of a future book on my part. Most people who have seriously studied the subject conclude that telepathy (mind to mind interactions) is the best supported class of paranormal phenomena. There is strong laboratory evidence for telepathy, such as classic card-calling experiments as well as many more sophisticated tests of telepathy, clairvoyance, and remote viewing. There is also a large and compelling body of evidence from spontaneous cases supporting the reality of telepathy. For instance crisis apparitions, veridical hallucinations, or "ghosts" are well-known, as documented in the classic two-volume scientific monograph of rigorously authenticated events produced by the Society for Psychical Research titled Phantasms of the Living (we include an excerpt from this work in our book). The evidence for PK is also strong, including micro-PK studies using random event generators and similar devices, such as the evidence developed by the PEAR (Princeton Engineering Anomalies Research) labs over more than a quarter of century, and the carefully studied incidents of macro-PK associated with genuine spontaneous poltergeist cases. Another line of compelling evidence for the reality of paranormal phenomena is the study of presentiments or "pre-sponses," essentially a form of short-term precognition as measured by physiological parameters (heart rate, electrodermal activity, and so forth). Numerous replicated experiments have demonstrated the physiological responses of individuals to, for instance, disturbing photographs a second or two before they are actually viewed by the person. According to conventional science, this should not be possible. As a natural scientist, I expect genuine phenomena (be they psychical and paranormal phenomena, or more conventional phenomena) to exhibit patterns and share elements in common, and this is just what has been found in spontaneous cases of the paranormal. Even when viewed cross-culturally, such commonalities persist. Perhaps even more compelling for me is the work of various modern researchers that has demonstrated a weak but persistent correlation between low levels of geomagnetic activity on planet Earth and cases of apparent spontaneous telepathy (based on records going back to the latter half of the nineteenth century). This, in my opinion, is a very strong argument supporting the contention that there is something genuine to the concept of telepathy. It suggests that spontaneous telepathic phenomena are real and natural and, as might be expected of natural phenomena, their manifestation is influenced by other natural parameters. Alternatively, are we to hypothesize that hundreds of hoaxers over nearly a century and a half have conspired to fake telepathic incidents in identical correlation with geomagnetic activity? This latter hypothesis strikes me as rather far-fetched, if not downright ludicrous. It has also been found that incidents of the paranormal correlate with Local Sidereal Time (which relates to the position of the horizon at any particular point on Earth relative to the center of our galaxy). Note that a correlation between geomagnetic activity and spontaneous telepathy does not necessarily imply that the "telepathic signal" is magnetic or electrical in nature. The human brain is influenced by magnetic and electric fields, and whatever may be the carrier of the telepathic signal, the transmission, reception, and manifestation of the message by the brain could be hampered or enhanced by differences in the magnetic and electric fields that the brain is subjected to. For many people a phenomenon is not "real" unless it can be duplicated in a laboratory setting under controlled conditions. Being a natural scientist and field geologist, I have never agreed with this contention. After all, can we create a genuine volcanic eruption in the laboratory or even on command in the field? Until about two centuries ago the scientific community routinely rejected the concept of rocks falling from the sky (meteorites). Still, attempting to induce, capture, observe, and experiment with apparent telepathy under controlled conditions is a worthy endeavor. Unfortunately, however, to this day it is fraught with problems and though numerous experiments have tested positive for apparent telepathy, others have had negative results and replication is a persistent problem. The bottom line is that we really do not know exactly what parameters or variables make for good telepathic transfer (or the elicitation of other types of paranormal phenomena), much less how to control for them. There are major issues that remain unresolved concerning paranormal and psychical phenomena. We don't fully understand what conditions are best to elicit paranormal phenomena and thus these phenomena are not easily replicated on command (such as in a laboratory setting). There is often a very low signal to noise ratio when it comes to psychical phenomena; there is no single physical theory to account for paranormal phenomena; and there is the issue of fraud and charlatans. Fraud is a very real and persistent problem in the field of psychical research, and one reason to undertake large statistical studies of average persons (as opposed to so-called psychic superstars) and search for the regularities and patterns one would expect among any genuine natural phenomena. Also, paranormal studies have extended to animals (and in some cases, even plants). One of the strengths of non-human studies is that it is less likely that animals will cheat and lie. It can also be noted that many "powerful mediums" who appear to have genuine paranormal abilities also apparently have low moral values and will cheat and commit fraud, perhaps unconsciously, at times, especially when their genuine paranormal powers fail. This is a pattern that has been noted over and over among parapsychologists working with human subjects. All of these topics are discussed in The Parapsychology Revolution. Michelson made this statement before the elucidation of X-rays and the structure of the atom, and before the discovery of radioactivity and the development of quantum physics and relativity theory. Despite his scientific brilliance, Michelson did not prove himself a very good diviner of the future. "The main point here is that, while there are certainly many things that modern science does not understand, there are also many things that it does understand, and those things simply do not allow for telekinesis, telepathy, etc." "The main point here is that, while there are certainly many things that modern science does not understand, there are also many things that it does understand, and those things simply do not allow for telekinesis, telepathy, etc. Which is not to say that we can prove those things aren't real. We can't, but that is a completely worthless statement, as science never proves anything; that's simply not how science works. Rather, it accumulates empirical evidence for or against various hypotheses." To say that something is "worthless" is a value judgment, and in an ultimate sense, one can argue, value judgments are outside of the realm of science and dependent on an emotional investment and context, among other factors. I would argue that the fact that "science never proves anything" is quite valuable as it precludes the "sleight-of-hand" dismissal of the very possibility of any supposed paranormal phenomena ever being genuine. As far as empirical evidence is concerned, for many people this is the heart of the issue when it comes to alleged paranormal phenomena. Exactly what is evidence? Are anecdotal case studies evidence? Are card-guessing experiments in one lab (with good controls and taking all precautions against possible fraud) which give positive results for telepathy not "evidence," whereas similar experiments in a comparable lab (whatever "comparable" is in this case, given how poorly we understand the aspects that influence paranormal phenomena) which give negative results "solid evidence" against the telepathic hypothesis, as some critics and debunkers would contend? In fact, what is and is not "empirical evidence" is not a black and white matter, either in parapsychology or in many other scientific disciplines. Rather evidence, any evidence, is a matter of degree and also carries a subjective and value-based component. The criteria that make for convincing evidence on the part of one person are not necessarily the same as the criteria for another person. Precluding obvious fraud and the like, there is no single magical scientific way to determine "objectively" the ultimate value of any particular alleged evidence. Science, any science, is not quite as "objective" as some would assert. Acknowledgments: I thank John Anthony West for reading and critiquing an earlier draft of this piece. In part this article developed from correspondence with Greg Taylor of The Daily Grail (www.dailygrail.com). I thank Greg for his perceptive questions. I thank Graham Hancock for inviting me to be Author of the Month on his website.